Eco-friendly bags – be ECO! Since 2007 we offer wide choice of eco-friendly bags. It is a perfect solution for the clients that want to develop their business and to care for the natural environment. 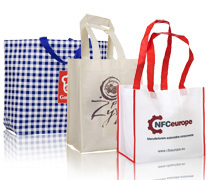 We are the direct importer of polypropylene and cotton bags. Eco-friendly bags are practical and can be used many times. 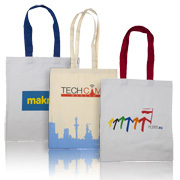 Various colours and properly prepared design makes our bags a perfect commercial for your business. Right now we offer bags: flat, with extended bottom or bottom and sides, with short and long handles, in colours specified in the offer. Thanks to the constant availability of our products, we can offer very fast delivery- even in 24 hours in case of bags with no print. On client’s request, we can make every type of offered eco-friendly bags in customized size and colour. Prints on our bags are made with the screen printing method. Once you send us an offer enquiry, we will prepare for you a price estimation. Your enquiry should include information on how many bags you need, number of colours of print, type and colour of the bags. We guarantee quick and precise reply!! !